The development of preschoolers’ language skills is influenced by literacy environments and individual differences in storybook exposure. Extant research is limited as most studies (a) investigate the effects on lower level language (LLL; e.g., vocabulary, grammar), but not the effects on higher level language (HLL; e.g., comprehension monitoring, narrative comprehension), and (b) focus on shared reading in the home literacy environment (HLE), but not on the child care literacy environment (CCLE) and the child as active literacy agent. We addressed these two gaps. First, we investigated the contributions of the HLE and the CCLE to the storybook exposure of 201 German preschoolers (MAge = 5; 5 years). A multilevel model showed that parents’ storybook exposure was the most important predictor of children’s storybook exposure. By contrast, child care workers’ storybook exposure was not a significant predictor. Second, we explored the unique contributions of HLE, CCLE, and preschoolers’ storybook exposure to LLL and HLL skills. Multilevel models showed that children’s storybook exposure explained unique variance not only in LLL skills, but also in HLL skills. Literacy environments explained additional variance in LLL skills. In sum, our results suggest that literacy environments are differentially related to children’s storybook exposure and language skills. Our finding that children’s storybook exposure was a unique predictor of vocabulary, grammar, comprehension monitoring, and narrative comprehension indicates that shared book reading has the potential to foster a range of early literacy skills which predict reading comprehension. Reading comprehension difficulties in primary school can often be traced back to poor oral language skills which were already present at school entry (Nation, Cocksey, Taylor, & Bishop, 2010). About 10% of primary school children develop reading difficulties due to poor language comprehension (Catts, Compton, Tomblin, & Bridges, 2012). Comprehension comprises several components. Vocabulary and grammar are important for processing on the word and the sentence level, and thus labelled as lower level language skills (LLL skills). Skills such as comprehension monitoring and narrative comprehension are necessary for the further integration of propositions and the formation of a situation model, and thus labelled as higher level language skills (HLL skills; Cain, Oakhill, & Bryant, 2004). Vocabulary and grammar in kindergarten are predictors of reading comprehension in primary school (Muter, Hulme, Snowling, & Stevenson, 2004). Studies indicate that HLL skills are concurrent and longitudinal predictors of early reading comprehension over and above LLL skills (Catts, Herrera, Nielsen, & Bridges, 2015; Lepola, Lynch, Laakkonen, Silvén, & Niemi, 2012; Kim, 2014; Silva & Cain, 2015). Shared storybook reading potentially benefits LLL and HLL skills. Numerous studies indicate that storybooks are important for vocabulary development, presumably because they provide linguistic diversity (Montag, Jones, & Smith, 2015). Intervention studies show that shared reading benefits preschoolers’ acquisition of HLL skills (Lever & Sénéchal, 2011; Zevenbergen, Whitehurst, & Zevenbergen, 2003). However, it is unclear whether shared storybook reading at home and at the child care center is related only to vocabulary, or to different language skills. Children in Germany experience shared reading both in the home literacy environment (HLE) and the child care literacy environment (CCLE), but it is unknown to which extent different literacy agents (e.g., parents, child care workers, children) contribute to LLL and HLL skills. Most kindergarten children regularly experience shared storybook reading in the HLE and in the CCLE (Davidse, de Jong, Bus, Huijbregts, & Swaab 2011; Wirts, Egert, & Reber, 2017). However, it is unclear how effective shared storybook reading is in these two settings regarding children’s storybook exposure, which can be measured by a storybook title recognition test. Storybook title recognition tests are based on the rationale that a person who participates in more storybook reading activities should know more storybook titles and thus recognize more titles in a list of selected storybook titles than a person who participated in fewer storybook reading activities. To control for guessing, storybook title recognition tests also comprise foil titles (Sénéchal, LeFevre, & Lawson, 1996). A differentiation of the relations between literacy agents and preschoolers’ language skills can contribute to the advancement of early literacy models (e.g., the Home Literacy Model by Sénéchal & LeFevre, 2014) and early language education programs (Anders, Roßbach, & Tietze, 2016). Consequently, the first aim of our study is to identify which literacy environments are particularly important for preschoolers’ storybook exposure. The second aim of this study is to investigate the unique contributions (a) of preschoolers’ storybook exposure and (b) of the HLE and the CCLE to preschoolers’ LLL and HLL skills. Preschoolers rely mostly on adults for storybook reading. Even though enrollment is voluntary in Germany, 94% of the 3- to 5-year-olds attend a child care center, where they spend a significant proportion of their time (in average 35 h per week; Statistische Ämter des Bundes und der Länder, 2016). Surveys show that most child care workers read to children on a daily basis (Wirts et al., 2017), and also that most parents read daily to their children (Davidse et al., 2011; Phillips & Lonigan, 2009; Sénéchal et al., 1996; Sénéchal, Pagan, Lever, & Ouellette, 2008). Children experience a comparable amount of shared reading in these literacy environments, but the reading situations are very different. For example, parents often read to one child, but child care workers usually read to small groups of children (Wirts et al., 2017) which may reduce its effectiveness. Parents adjust literacy activities to the development of their children’s skills (Sénéchal & LeFevre, 2014), but for child care workers, it may be difficult to adjust their shared reading activities to the needs of all children. In the CCLE, shared reading provides less individual interaction time than in the HLE, and thus may be less beneficial for language development. In sum, shared reading in the HLE is probably more effective than shared reading in the CCLE. We assessed preschoolers’ effective exposure to storybooks with an audio storybook recognition test (Grolig, Cohrdes, & Schroeder, 2017). The first aim of our study is to investigate whether shared reading in the HLE is more strongly related to preschoolers’ storybook exposure than shared reading in the CCLE. Many studies have investigated the connection between shared reading and language skills. In a meta-analysis, Mol and Bus (2011) note as a main limitation that most of the studies used parents’ storybook exposure or a parent questionnaire to assess shared reading and related this to children’s language skills. Two shortcomings of these measures could diminish the correlations between shared reading and children’s language skills. First, it is doubtful that parents’ storybook exposure is an adequate proxy of children’s shared reading experiences. For example, parents might recognize a storybook title because they saw it in a bookshop, or from their own childhood experiences. In addition, children experience shared reading activities not only at home, but also in other literacy environments such as the child care group. Second, parents tend to overstate the amount of shared reading activities at home because most of them are aware that reading to children is socially desirable (DeBaryshe, 1995). A few studies have circumvented these methodological issues and assessed shared reading by using tasks which allowed them to ask children directly about their storybook knowledge (Davidse et al., 2011; Sénéchal et al., 1996; Zhang et al., 2017). To shed light on the relations of children’s storybook exposure and literacy environments to LLL and HLL skills, we first discuss studies which employed child-completed storybook knowledge tasks. We then turn to studies which used adult-completed storybook recognition tests or literacy questionnaires as proxies of shared reading in order to investigate the relation of the HLE and the CCLE to preschoolers’ language skills. Our study aims to extend this evidence by determining the unique contributions of preschoolers’ storybook exposure, HLE, and CCLE to different language skills. Two studies used a storybook knowledge task (Davidse et al., 2011; Sénéchal et al., 1996) in which children were presented illustrations and asked to name the book’s title. To ensure that children were not guessing, they were asked to report some of the specifics (e.g., characters’ names, plot). Similarly, Zhang et al. (2017) used a storybook knowledge task in which children were asked to freely recall as many storybook titles as possible and to provide basic information on each story. The correlations between children’s storybook knowledge and vocabulary were moderate to strong, and storybook knowledge was a unique predictor of vocabulary, explaining a substantial amount of unique variance. Storybook knowledge explained between 6 and 36% of variance in vocabulary, depending on the inclusion of other variables in the models (e.g., control variables such as age, socioeconomic status, verbal short-term memory, and nonverbal intelligence, see Davidse et al., 2011; Sénéchal et al., 1996; numerous literacy environment variables, see Zhang et al., 2017). To our knowledge, no previous study has investigated the relations between children’s performance in a storybook exposure task and children’s language skills aside from vocabulary. From a corpus linguistics perspective, storybooks exhibit many characteristics which suggest that their use in shared reading sessions has the potential to foster grammar, comprehension monitoring, and narrative comprehension skills. Storybooks contain much more low frequent words than average child-directed speech (Massaro, 2015; Montag et al., 2015) and feature complex grammatical forms which rarely occur in child-directed speech outside shared book reading situations (Cameron-Faulkner & Noble, 2013). They also possess diverse narrative structures which could foster children’s comprehension monitoring and narrative comprehension skills (Connor et al., 2014; Pantaleo & Sipe, 2012). Consequently, this study examines the relations between preschoolers’ storybook exposure and different LLL and HLL skills. In a meta-analysis, Mol and Bus (2011) found that parents’ storybook exposure and HLE questionnaires explained the same amount of variance in preschoolers’ vocabulary skills. A title recognition test is a relatively narrow measure of shared reading activities in comparison to literacy environment questionnaires, whose items usually touch not only on shared reading, but also on other literacy activities and resources which are more remotely related to shared reading (e.g., Niklas & Schneider, 2013). The results of Mol and Bus (2011) suggest that the general HLE and the specific shared reading activities are of comparable importance for vocabulary skills. Both parents’ storybook exposure and HLE questionnaires are not only proxies of shared reading but are also positively related to parental literacy (Sénéchal et al., 1996; Sénéchal, et al., 2008; Weigel, Martin, & Bennett, 2005). As adults’ literacy is positively related to adults’ vocabulary skills (Mol & Bus, 2011; Stanovich, West, & Harrison, 1995), this has presumably consequences for the linguistic characteristics of everyday communication, which has a significant impact on children’s language development at home (Rowe, 2012). This plausibly explains why both narrow and broad measures of shared reading in the HLE predict preschoolers’ vocabulary skills. Whereas many studies have found a positive relation between the HLE and vocabulary (see Mol & Bus, 2011), few studies have investigated the relations of the HLE with preschoolers’ LLL and HLL skills besides vocabulary. Weinert and Ebert (2013) found a positive relation between syntactic comprehension growth and the HLE of German preschoolers. In a study with 4-year-old Canadian children, parents’ storybook exposure was a unique predictor of morphological comprehension but did not predict syntactic comprehension or narrative abilities (Sénéchal et al., 2008). In contrast, a Dutch study found that shared reading and storytelling at home predicted narrative comprehension in 4-year-olds (Leseman, Scheele, Mayo, & Messer, 2007). As a composite score of reading and storytelling activities was used, it is unclear whether the positive relation to narrative comprehension was primarily due to shared reading or storytelling. To the best of our knowledge, no previous study has examined the relation between comprehension monitoring and the HLE. In sum, there is scarce and conflicting evidence concerning the relations between shared reading at home and language skills other than vocabulary. Few studies have examined the concurrent contributions of the HLE and the CCLE to children’s LLL skills. Even though title recognition tests should reflect the amount of shared reading provided by a child care worker, they have to date not been used in this context. Instead, to capture the literacy activities and resources in a child care group, questionnaires are often used (e.g. Hachfeld & Anders, 2016; Tietze, Schuster, Grenner, & Roßbach, 2007). A German large-scale study found that the CCLE does not have a significant effect on the growth of vocabulary (Ebert et al., 2013) or grammar skills (Weinert & Ebert, 2013), but the HLE was positively related to the growth of both skills. The authors assume that the low average quality and a restricted variance of the CCLE are the reasons for the lack of positive effects (Ebert et al., 2013; Weinert & Ebert, 2013). In contrast, a U.S. study (Weigel, Martin, & Bennett, 2005) found that the frequency of reported literacy activities at home and in the child care group was about equally high. Over and above the effects of the HLE, the frequency of preschool teachers’ literacy activities was a significant predictor of vocabulary skills growth, but did not predict grammar skills growth (Weigel et al., 2005). To our knowledge, relations between CCLE variables and HLL skills have not been investigated. Overall, previous studies suggest that the CCLE in Germany is not related to children’s LLL skills, even though there is evidence linking an enriched CCLE to children’s vocabulary skills. Moreover, little is known about the relation between HLE and LLL and HLL skills besides vocabulary. This study thus aims to determine the unique contributions of the HLE and the CCLE to LLL and HLL skills over and above preschoolers’ storybook exposure. The purpose of this study is to enhance our understanding of the relations between preschoolers’ literacy environments, their storybook exposure, and a variety of their language skills. Three interconnected questions guide our analyses. First, our study examines how literacy environments are related to preschoolers’ storybook exposure. Considering that most parents and child care workers read daily to children (Davidse et al., 2011; Sénéchal et al., 1996; Wirts et al., 2017), we hypothesize that both literacy environments will explain a significant amount of variance in preschoolers’ storybook exposure. Due to structural differences in the shared reading situations, we hypothesize that parents’ storybook exposure will explain more variance than child care workers’ storybook exposure. Second, we investigate the relations of preschoolers’ storybook exposure with LLL skills and HLL skills. On the basis of previous studies (Davidse et al., 2011; Sénéchal et al., 1996; Zhang et al., 2017), we hypothesize that preschoolers’ storybook exposure is related to vocabulary. In addition, as storybooks contain complex language and narration (Cameron-Faulkner & Noble, 2013; Massaro, 2015; Montag et al., 2015; Pantaleo & Sipe, 2012), we expect that preschoolers’ storybook exposure is also related to grammar and HLL skills. Third, we investigate whether the HLE and the CCLE explain unique variance in HLL and LLL skills above preschoolers’ storybook exposure. Due to connections between adults’ print exposure, their vocabulary skills, and characteristics of their oral communication (Mol & Bus, 2011; Rowe, 2012; Stanovich et al., 1995), we hypothesize that shared reading in the HLE and the CCLE explains unique variance in vocabulary skills. To account for general cognitive and socioeconomic differences, we include age, verbal short-term memory, nonverbal intelligence, and socioeconomic status as control variables in all analyses. Data were collected as part of a larger project investigating transfer effects of early music education on cognitive development (“MusiCo”). We recruited 201 children in their last kindergarten year prior to school entry from 32 child care groups (90 girls; Mage= 5 years 5 months, SD = 4.4 months). Parental consent was obtained for all children. We assessed preschoolers’ LLL skills (picture naming, explaining concepts, and syntactic integration), HLL skills (comprehension monitoring, narrative comprehension), storybook exposure, nonverbal IQ, and verbal short-term memory. Parents completed a questionnaire about the HLE, the socioeconomic background, and a storybook exposure checklist. Child care workers completed a questionnaire about the CCLE and a storybook exposure checklist. We developed a picture naming task by selecting 15 low frequent nouns (normalized lemma frequency/million: M = 7.41; SD = 6.32) from the corpus childLex (Schroeder, Würzner, Heister, Geyken, & Kliegl, 2014). We selected 15 corresponding pictures of these objects from 15 different picture books. Children were asked to name the objects by the target words (for example, “anorak” or “rowboat”). If they produced words that were similar to the target words (for example, “jacket“, “boat”), they were asked to produce alternative labels for the object until they produced the target word, or until they could not think of any more alternative label. Children received one point for each target word, and zero points for a similar word. Participants were asked to explain 14 concepts (vocabulary subtest of the German Wechsler Preschool and Primary Scale of Intelligence; Petermann, 2009). Children received up to two points for each item. Scoring was based on the precision of the children’s explanation. Two points were awarded for one or two essential semantic features, or at least two important, but not essential semantic features which demonstrated that the child had a comprehensive understanding of the concept. One point was awarded for an important, but not essential semantic feature, or for an appropriate example which demonstrated that the child had a proper, but not comprehensive understanding of the concept. Children listened to 16 sentences from the syntax subtest of the German reading comprehension test ProDi-L (Richter, Isberner, Naumann, & Kutzner, 2012). Participants decided whether a sentence was grammatically correct or incorrect. Seven sentences were grammatically correct. Nine sentences were incorrect regarding tense, word order, or case. Children received one point for each correct answer. Participants listened to 16 short stories that consisted of two sentences each (selected from the comprehension monitoring subtest of ProDi-L, Richter et al., 2012). The combination of sentences was either plausible or implausible. Participants decided whether both sentences went together or not. The sentences of seven items had a temporal or causal connection. Nine items’ sentences were not interconnected. Children received one point for each correct answer. We used a task that was developed by Paris and Paris (2003) and adapted by Silva and Cain (2015). It consisted of three parts: First, children were asked to look through a wordless picture book (Frog on His Own; Mayer, 1973). Second, children were asked to tell the story with the picture book as a prompt. Third, nine narrative comprehension questions were asked. Five questions tapped implicit information and thus required inference generation skills (dialogue, feelings, prediction, and theme). Four questions tapped information that was explicitly stated in the picture book but had to be integrated across pages (characters, setting, problem identification, and resolution). Answers were transcribed and coded according to the scheme of Silva and Cain (2015). Children received one point if their answer contained the requested element (e.g., plausible thoughts). If the answer also contained an elaboration of the element (e.g., the cause of the thoughts), children received an additional point. Twenty percent of participants’ responses were coded by a second rater to determine the interrater reliability. Children completed an auditory version of the title recognition test for preschoolers (TRT; Grolig et al., 2017), which is an adaptation of the title recognition test by Sénéchal, LeFevre, and Lawson (1996). The TRT consists of 20 real titles and 10 foils. Children indicated via computer button press whether they recognize a title. A corrected score was computed by subtracting the proportion of selected foils from the proportion of selected titles. None of the books used for the picture naming task was used in the TRT. Parents completed a HLE questionnaire for preschool age (Niklas & Schneider, 2013). Items cover heterogeneous aspects of the HLE, including literacy resources (number of books and children’s books owned by the household, newspaper subscription), literacy activities (shared reading frequency, age when shared reading started), parental literacy (parents reading frequency), and TV consumption. Child care workers completed an adapted version of the K2ID questionnaire (Hachfeld & Anders, 2016; based on KES-R; Tietze et al., 2007). The items cover various aspects of the CCLE, in particular literacy resources (e.g., picture books, storybooks, books for children learning to read; 0 = not available, 1 = available to less than half of the children, 2 = available to half of the children, 3 = available to nearly all of the children) and literacy activities (e.g., reading aloud, storytelling in the group, language games; 0 = never, 1 = less often than once a month, 2 = once a month, 3 = every other week, 4 = once a week, 5 = multiple times per week, 6 = daily). To estimate storybook exposure as a more narrow measure of shared reading, parents and child care workers also completed the TRT (Grolig et al., 2017). They indicated on a printed checklist whether they recognized a title. As in the computer version, a corrected score was calculated by subtracting the proportion of selected foils from the proportion of selected titles. Importantly, storybook exposure of parents and child care workers is an indirect measure of preschoolers’ storybook exposure in comparison to the direct recognition of storybook titles by preschoolers. Due to a large conceptual overlap between the variables and their common use of the recognition method, all three variables are labelled as storybook exposure. Children completed the subtests Classifications, Matrices, and Completing Sequences from the Culture Fair Intelligence Test (German version of the CFT 1-R; Weiß & Osterland, 2013). The raw scores were added to form a single scale. Children completed a standardized digit span forward test (BUEVA; Esser, 2002). If children solved an item in the first attempt, they received two points. If they solved an item in the second attempt, they received one point. The parental occupation was coded according to the ISEI manual (Ganzeboom & Treiman, 1996). The higher score was used as indicator of the socioeconomic status. All analyses were conducted with the software R (R Core Team, 2016). There were zero to seven missing values per measure (total of 2.8% missing data, see Table 1). To examine the relations between literacy agents’ variables and language skills, we first estimated correlations between all variables. The measures in this study exhibited reliability differences that can bias the estimation of relations between variables (Schmidt & Hunter, 1999). Therefore, we also report attenuation-corrected correlations, which estimate the correlation between two measures as if both had a reliability of 1. It is calculated by dividing the observed correlation coefficient of measures A and B by the product of the square roots of the reliability estimates of measures A and B (Cohen, Cohen, West, & Aiken, 2003). Attenuation-corrected correlations were estimated by using the correct.cor function from the psych package (Revelle, 2017). Second, to explore the relations between preschoolers’ storybook exposure, literacy environments, and language skills, we fitted multilevel models with the package lme4 (Bates, Maechler, Bolker, & Walker, 2015). To account for child care group differences, each model included random intercepts for the child care groups (Bliese & Ployhart, 2002). In order to avoid loss of statistical power and minimize bias due to missing data (Peugh & Enders, 2004), we used the package pan for multiple imputation (Zhao & Schafer, 2016) to create 100 complete datasets, which were then used for parallel analyses. The final parameter estimates and inferences were then calculated across the imputed datasets according to Rubin’s rules with the package mitml (Grund, Lüdtke, & Robitzsch, 2016). Table 1 provides descriptive statistics and reliability coefficients for all measures before the imputation procedure. Children’s mean scores in standardized measures (explaining concepts, nonverbal IQ, and digit span) were similar to the tests’ mean scores, indicating an averagely developed sample. The mean HLE and CCLE scores approached the ceiling, indicating that most of the children experienced comparatively enriched literacy environments at home and at the child care center. Child care workers recognized more storybook titles than parents, and parents recognized more storybook titles than children. All variables were normally distributed. Internal consistencies (Cronbach’s alpha) of the tasks were good or acceptable, with the exception of comprehension monitoring (α = .56). The interrater reliabilities for the narrative comprehension task items were good. Table 2 displays the manifest and attenuation-corrected correlations between child, parent, and child care worker variables. The pattern of significant versus non-significant correlations was very similar for manifest and attenuation-corrected correlations. In addition, the pattern of correlations between comprehension monitoring and parent as well as child care worker variables was comparable to the pattern of correlations between the other language skills and the environmental variables. This implies that only the absolute magnitude but not the differential relationships between the measures is affected by the varying reliability of the measures. Most of the parent variables and child variables were significantly related to the language skills. The HLE questionnaire and parent storybook exposure were moderately correlated to picture naming and explaining concepts. Parent storybook exposure was moderately correlated to syntactic integration, and the correlation between the HLE questionnaire and syntactic integration was small. Child storybook exposure was moderately correlated with all five language skills (picture naming, explaining concepts, syntactic integration, comprehension monitoring, and narrative comprehension). Concerning child care worker variables, there were merely two significant, albeit small correlations: The CCLE questionnaire was correlated with both vocabulary measures (picture naming, explaining concepts). In contrast, child care worker storybook exposure was not related to any of the language skills. To reduce the number of outcome measures, we inspected the correlations between language skills. All language skills were significantly interrelated. The moderate to small correlations indicated a modest amount of overlap. The correlation between picture naming and explaining concepts was comparatively strong (r = .53), and the two variables were z-standardized and averaged to form a vocabulary composite. To determine the relations between child storybook exposure, literacy environments, and language skills, we conducted multilevel regression analyses in which we controlled for age, nonverbal IQ, verbal short-term memory, and socioeconomic status. The models included random intercepts for the child care groups to account for the dependency of observations within a child group. We investigated the contributions of HLE and CCLE variables to child storybook exposure. A multilevel regression model with HLE questionnaire, parent storybook exposure, CCLE questionnaire, and child care worker storybook exposure as fixed effects was fitted. Table 3 summarizes the results of this model. In line with our first hypothesis, parent storybook exposure was the most important predictor, explaining about 10% of unique variance in child storybook exposure. Contrary to our expectation, child care worker storybook exposure was not related to children’s storybook exposure. Socioeconomic status was the sole control variable to explain unique variance in children’s storybook exposure. A very low intra-class correlation indicated that differences in child storybook exposure were not due to differences in child care groups that were not accounted for by the child care worker variables. The inclusion of interaction terms did not improve the model fit. The results suggest that parent storybook exposure, a proxy of shared reading in the HLE, is more closely related to child storybook exposure than child care worker storybook exposure which is not a significant predictor of child storybook exposure. We determined the amount of unique variance explained by child storybook exposure, HLE questionnaire and CCLE questionnaire in LLL skills (vocabulary, syntactic integration) and HLL skills (comprehension monitoring, narrative comprehension). For each of the four language skills, a multilevel regression model with child storybook exposure, HLE questionnaire, parent storybook exposure, CCLE questionnaire, and child care worker storybook exposure as fixed effects was fitted. Table 4 summarizes the results. In line with our second hypothesis, child storybook exposure was significantly related to vocabulary, syntactic integration, comprehension monitoring, and narrative comprehension. Child storybook exposure explained between 2 and 5% of unique variance in language skills. We found partial support for our third hypothesis in that unique vocabulary variance was explained by parent storybook exposure (5%) and the CCLE questionnaire (4%). Additionally, parent storybook exposure was a unique predictor of syntactic integration, explaining 2% of unique variance. Contrary to our expectation, the HLE questionnaire and child care worker storybook exposure were not significant predictors of vocabulary skills. The fixed effects explained overall between 16 and 43% of variance in the language skills. The random effects of child care group explained a modest amount of variance in language skills (0–6%). The inclusion of interaction terms did not improve the models’ fits. The results indicate that children’s storybook exposure is related not only to vocabulary, but also explains a significant amount of unique variance in grammar, comprehension monitoring, and narrative comprehension. Moreover, the results suggest that parents’ storybook exposure and literacy activities in the CCLE explain a significant amount of variance in children’s vocabulary skills over and above children’s storybook exposure. The present study addressed two gaps in shared reading research. First, we investigated the contributions of the HLE and the CCLE to preschoolers’ storybook exposure. The results of our study provide new evidence that preschoolers’ recognition of storybook titles (a measure of storybook exposure) depends substantially on parents’ storybook exposure, but not on child care workers’ storybook exposure. Second, we determined the unique contributions of children’s storybook exposure, the HLE, and the CCLE to LLL and HLL skills. Our study adds to previous research that (a) preschoolers’ storybook exposure is a unique predictor not only of vocabulary skills, but also predicts grammar, comprehension monitoring, and narrative comprehension skills, (b) over and above children’s storybook exposure, parents’ storybook exposure and CCLE questionnaire are unique predictors of vocabulary skills, and (c) over and above children’s storybook exposure, parents’ storybook exposure is also a unique predictor of grammar skills. Parents’ storybook exposure explained about 10% of unique variance in children’s storybook exposure. This result is in line with previous studies which showed that parents’ storybook exposure was moderately correlated to children’s storybook knowledge (Sénéchal et al., 1996; Zhang et al., 2017). Contrary to our expectation, the storybook exposure of child care workers and preschoolers was not related. This is surprising because child care workers’ storybook exposure should reflect the amount of shared reading in the CCLE in a similar way like parents’ storybook exposure reflects the amount of shared reading in the HLE. 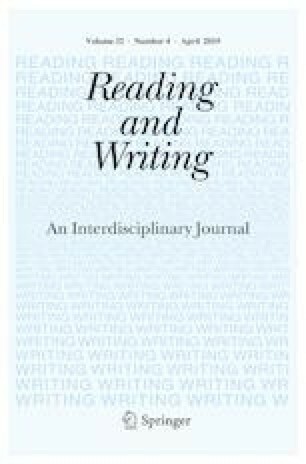 Even though child care workers and parents report daily shared reading activities, shared reading in a child care group is plausibly less effective than shared reading with individual children, especially regarding the learning of a comparatively abstract concept such as a storybook title. Support for this interpretation comes from a meta-analysis of dialogic reading intervention studies which concludes that effects on vocabulary skills are larger for interventions that target individuals than for small or large groups (Mol, Bus, de Jong, & Smeets, 2008; but see Marulis & Neuman, 2010, for further discussion of this topic). Moreover, child care workers are presumably exposed to storybooks in many other contexts than shared reading in the child care group. For example, child care workers can learn about storybooks during their professional training, through their colleagues, and while reading to their own children. Our results suggest that child care workers’ storybook exposure, as measured by the title recognition test, might not be a proximal indicator of shared reading activities in the child care group. In sum, our study shows that preschoolers’ storybook exposure is significantly related to parents’ storybook exposure. The moderate correlation between the two variables, however, indicates that using parents’ storybook exposure as a proxy of children’s shared reading experiences in the HLE might constrain the explanatory power of storybook exposure for literacy development. Children’s storybook exposure explained unique variance in vocabulary skills. This finding is in line with previous studies which used a recall task as proxy of preschoolers’ storybook exposure (Davidse et al., 2011; Sénéchal et al., 1996; Zhang et al., 2017). Children’s storybook exposure was also a unique predictor of grammar, comprehension monitoring, and narrative comprehension. Our findings contrast in part with the results of a previous study (Sénéchal et al., 2008) which did not find that storybook exposure explained unique variance in narrative abilities. The divergent results are plausibly due to different measures of preschoolers’ storybook exposure. This study used an audio recognition test with preschoolers, which is a direct measure of storybook exposure. In contrast, Sénéchal, Pagan, Lever, and Ouellette (2008) used a parent storybook recognition checklist as a proxy of children’s storybook exposure. In our study, the overlap between children’s and parents’ storybook exposure is significant, but not very high, which means that parents’ storybook exposure is a rather rough proxy of preschoolers’ storybook exposure. As reported by Sénéchal, Pagan, Lever, and Ouellette (2008), parents’ storybook exposure was not a significant predictor of narrative comprehension in this study. In addition, the results of our study partly disambiguate the results of Leseman, Scheele, Mayo, and Messer (2007) by providing evidence that preschoolers’ storybook exposure is a unique predictor of narrative comprehension. Whether storytelling in the HLE is also uniquely related to narrative comprehension remains to be investigated. In sum, we found that children’s recognition of storybook titles, a proxy measure of shared reading, explains unique variance in comprehension monitoring and narrative comprehension. Our study expands previous research by showing that preschoolers’ storybook exposure is related not only to LLL skills, but also to HLL skills, which highlights the potential of storybooks for the fostering of different language skills. Regarding the contributions of literacy environments to preschoolers’ language skills, we found that parents’ storybook exposure explained unique variance in vocabulary and grammar skills over and above children’s storybook exposure. This suggests that, in addition to a connection between shared reading at home and LLL skills via children’s storybook exposure, there are presumably other, even more indirect connections between shared reading at home and LLL skills. Specifically, as parental literacy is positively related to both storybook print exposure (Sénéchal et al., 1996) and adult verbal abilities (Stanovich et al., 1995), this should result in linguistic differences in parent-child everyday communication which also influence children’s language development (cf. Sénéchal et al., 2008). As children acquire new words and grammatical structures through exposition to parent speech (Rowe, 2012), these aspects of the HLE plausibly influence children’s vocabulary and grammar skills in addition to the direct influence of shared reading. Why did parents’ storybook exposure explain unique variance in LLL skills, but not in HLL skills? In contrast to LLL skills, the acquisition of HLL skills probably depends not only on implicit influences such as speech exposition, but also on explicit expert modelling during shared reading. Studies show that dialogic reading interventions, in which instructors make use of open-ended questions to foster children’s comprehension skills, improve the oral narrative construction of preschoolers (Lever & Sénéchal, 2011; Zevenbergen et al., 2003). Thus, storybook-centered communication between parents and children presumably also helps children to develop their HLL skills, which in turn should foster children’s skills to detect inconsistencies and recall important story information. Similarly, children’s recognition of storybook titles is presumably promoted by extratextual talk which puts storybook contents into a meaningful broader context and highlights the storybook title as an essential feature of a book, which should make storybook titles more memorable. Thus, extratextual talk during shared reading is presumably more closely related to preschoolers’ acquisition of HLL skills and recognition of storybooks than to preschoolers’ acquisition of LLL skills. In contrast to parents’ storybook exposure, child care workers’ storybook exposure was not related to children’s language skills. This could be due to title recognition tests not being suitable for the assessment of shared reading in early childhood education, or due to a lesser degree of shared reading effectiveness in the CCLE group context. The unique contribution of the CCLE questionnaire to children’s vocabulary skills suggests that the provision of various literacy activities and literacy materials in the CCLE is more strongly related to children’s vocabulary skills than child care workers’ storybook exposure. Overall, parents’ storybook exposure and the CCLE questionnaire each explained about 4% of unique variance in preschoolers’ vocabulary skills, suggesting that both HLE and CCLE are involved in preschoolers’ vocabulary learning to a similar degree. This finding contrasts with a German study which did not find a positive relation between the CCLE and vocabulary skills (Ebert et al., 2013), but accords with the findings of a U.S. study (Weigel et al., 2005). The discrepancy can be resolved by differences in the average CCLE quality. In contrast to Ebert et al. (2013) who reported a low average CCLE quality, the amount of literacy activities and resources in the CCLE was comparatively high both in our study and in the U.S. study (Weigel et al., 2005). This suggests that only a highly enriched CCLE can contribute to preschoolers’ vocabulary skills in addition to the HLE. This interpretation is supported by studies which have found that high-quality preschools, but not low-quality or medium-quality preschools had a positive effect on the language development in addition to the home learning environment (e.g., Melhuish et al., 2013). Among the limitations of our study, the most important pertain to the questions how differences in storybook title recognition emerge in early childhood, and how this relates to LLL and HLL skills acquisition. We cannot determine which causal mechanisms are involved in these processes because our study is correlational. Longitudinal and experimental studies should investigate how child characteristics, language skills, and parent–child interactions influence the effectiveness of shared reading regarding preschoolers’ recognition of storybook titles and their acquisition of HLL skills. Disentangling the cognitive, attentional, motivational, and emotional processes involved in preschoolers’ storybook title memorization should be particularly informative for shared reading research because, as our results suggest, some of these processes are presumably also essential for the acquisition of HLL skills. Audio recognition tests offer a new opportunity to study how print exposure and the development of different language and reading skills are reciprocally connected from early childhood on (cf. Mol & Bus, 2011). In addition, the internal consistencies of some measures used in this study were comparatively low. Young children differ substantially in their ability to self-regulate during testing (Ponitz, McClelland, Matthews, & Morrison, 2009). Therefore, tests should be brief to ensure that the reliability of the assessment is not biased by differences in attention. Due to this constraint, the number of items per measure is limited, which constrains internal consistency. Even though the measures used in this study were brief, the items still covered heterogeneous aspects of the constructs with the aim of capturing the construct breadth adequately. For example, storybook exposure was assessed by a short title recognition test with 20 items, which included classic and new children’s books of highly varying linguistic and narrative complexity (e.g., “The Very Hungry Caterpillar” vs. “The Gruffalo”) which were written for 3- to 8-year-olds children. Thus, the tests we used provide sufficient objectivity and content validity, but at the expense of the internal consistency. However, the correlation patterns of attenuation-corrected versus uncorrected measures were very similar. This implies that our main conclusions about the relationships between shared reading and language measures are not affected by the comparatively lower reliabilities of some variables. Future studies should use more reliable measures, in particular for comprehension monitoring, to avoid reliability problems. Our results encourage a new perspective on the Home Literacy Model (Sénéchal & LeFevre, 2014), which posits that preschoolers’ shared book reading at home is related to the development of language skills, independent leisure-time reading, and primary school reading skills. The findings of our study suggest two extensions which could further improve the model’s prediction of reading skills by shared reading experiences in early childhood. First, our results suggest that parents’ and children’s storybook exposure is significantly related, but they do not represent the same construct (see Zhang et al., 2017, for a similar finding). As parents learn about storybooks in many situations other than shared reading with their children (e.g., newspapers and blogs, library visits, online book shops, and shared reading when they were children), they recognize, on average, more storybook titles than children do. Thus, parents’ storybook exposure reflects, in addition to shared reading with their own children, numerous behaviors and preferences which are related to parents’ reading habits, and thus to their language and communication skills, which in turn also influence their children’s language acquisition. Parents’ storybook exposure determined only a part of children’s storybook exposure. As children’s storybook exposure was the only variable to be significantly related to HLL skills, both learning HLL skills and recognizing storybook titles presumably require activities which foster children’s engagement and participation during shared reading, such as extratextual talk. In turn, children’s language development could influence the amount and quality of shared reading in time if their language skills are related to their preference for shared reading over other activities, and their capabilities for actively co-creating a shared reading situation which serves their needs. Taking into account the reciprocal relations between parents’ and children’s storybook exposure during the transition from preschool to primary school, and their relations to the development of early literacy skills, would enhance our understanding of the interplay between the three factors during reading acquisition. Second, our results suggest that parents’ storybook exposure and children’s storybook exposure are differentially related to LLL and HLL skills. Specifically, parents’ storybook exposure was related to LLL skills, but children’s storybook exposure was related both to LLL and HLL skills. As a consequence, children and parents should be conceptualized as related, but separate literacy agents in the Home Literacy Model. In sum, the present study highlights the potential of storybooks for the fostering of a variety of language skills. It extends previous research by showing that a direct measure of children’s storybook exposure, an audio recognition test, is related not only to vocabulary and grammar skills, but also to comprehension monitoring and narrative comprehension skills. Our results suggest that shared reading at home is more closely related to preschoolers’ storybook title recognition and grammar skills than shared reading in the child care group, indicating a higher effectiveness of shared reading in the HLE than in the CCLE for these outcome variables. By contrast, parents’ storybook exposure (a proxy of shared reading at home) and the broader CCLE were similarly strong related to preschoolers’ vocabulary skills. Both literacy environments are equally important for this foundational language skill if the CCLE is highly enriched. In our study, parents’ storybook exposure showed merely partial overlap with children’s storybook exposure, which apparently limited its predictive power regarding HLL skills. The use of a storybook exposure measure which tests children’s storybook recognition directly appears to assess aspects of shared reading which are not covered when parents complete storybook recognition checklists. Open access funding provided by Max Planck Society. The research reported in this manuscript was supported by Forschungsfonds Kulturelle Bildung (Rat für kulturelle Bildung and Stiftung Mercator, Project 14-001-4). We thank Johanna Braun, Nicola Hohensee, Janis Keck, Felix Klapprott, and Sarah-Lena Schaefer for their assistance, and all child care centers, parents, and children for supporting the study. Pantaleo, S., & Sipe, L. (2012). Diverse narrative structures in contemporary picturebooks: Opportunities for children’s meaning-making. Journal of Children’s Literature, 38, 6–15. Retrieved from https://www.childrensliteratureassembly.org/journal.html. R Core Team. (2016). R: A language and environment for statistical computing [Computer software]. Vienna, Austria: R Foundation for Statistical Computing. Retrieved from https://www.R-project.org. Revelle, W. (2017). Psych: Procedures for psychological, psychometric, and personality research [R package version 1.7.8]. Retrieved from https://cran.rproject.org/web/packages/psych/index.html. Statistische Ämter des Bundes und der Länder [Statistical Departments of the Federal Government and the Federal States]. (2016). Kindertagesbetreuung [Child day care]. Retrieved from https://www.destatis.de/DE/ZahlenFakten/GesellschaftStaat/Soziales/Sozialleistungen/Kindertagesbetreuung/Kindertagesbetreuung.html. Wirts, C., Egert, F., & Reber, K. (2017). Early literacy in deutschen Kindertageseinrichtungen. Eine Analyse der Häufigkeit von Literacy-Aktivitäten im Kita-Alltag [Early literacy in German early child education and care: Analysis on the frequency of early literacy activities during a day]. Forschung Sprache, 2, 96–106. Retrieved from https://www.forschung-sprache.eu. Zhang, S. Z., Georgiou, G. K., Xu, J., Liu, J. M., Li, M., & Shu, H. (2017). Different measures of print exposure predict different aspects of vocabulary. Reading Research Quarterly. Advance online publication. https://doi.org/10.1002/rrq.205. Zhao, J. H. & Schafer, J. L. (2016). Pan: Multiple imputation for multivariate panel or clustered data [R package version 1.4]. Retrieved from https://CRAN.R-project.org/package=pan.